Baylor became the first upset victim of the NCAA Tournament when the fifth seed fell to Yale, 79-75. After such a tough loss, it would understandable that the players would be less than thrilled at the idea of facing the media. That feeling can be multiplied when having to face tough questions. During the game, Yale outrebounded Baylor 36-32. At this point, it should be noted that Yale is a good rebounding team, ranking 20th among Division I schools with 40.4 per game, three more than Baylor averaged this season. 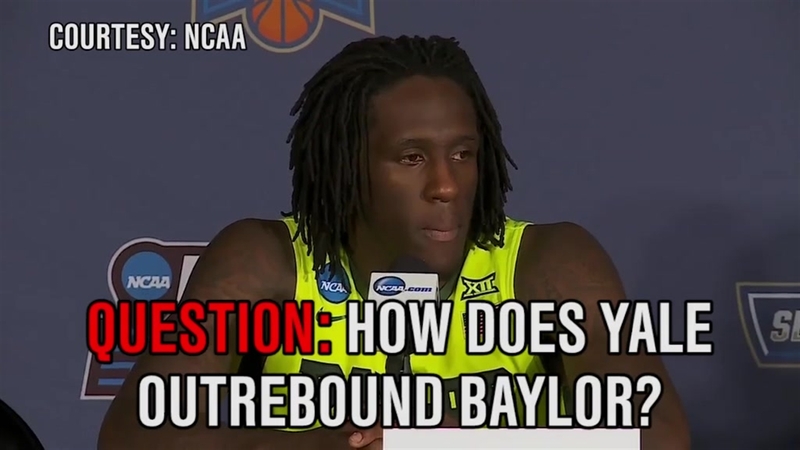 And yet, one reporter asked Taurean Prince of Baylor how Yale was able to secure more rebounds. His answer is fantastic.